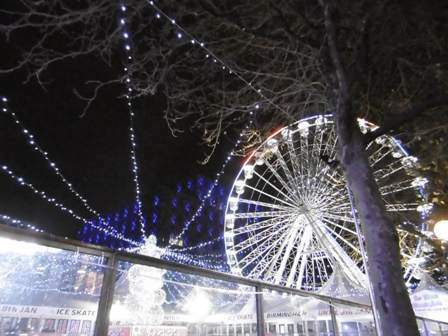 There was an abundance of Christmas spirit on arrival at Symphony Hall, with an ice skating rink, a festive Ferris wheel and a craft market in Centenary Square, outside the venue, getting everyone in the mood for the big day. 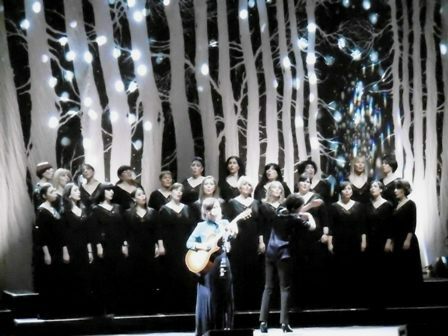 The seasonal celebration continued inside as Katie Melua was joined by Georgia's Gori Women's Choir to perform all of her new In Winter album. Beginning with a lovely rendition by the 23-strong choir of the Ukrainian carol The Little Swallow, the first half of the show was devoted to the album which features traditional songs, cover versions and new tunes inspired by the singer's childhood in Georgia, formerly part of the Soviet Union. Despite the only instrumentation being acoustic guitar and double bass (courtesy of Tim Harries) the stage was filled with sound as the choir's input became an instrument in itself. 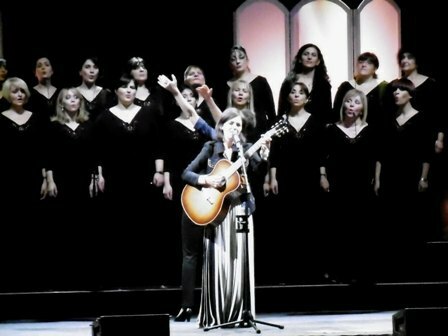 Conducted by Teona Tsiramua, the choir ceased touring in the 1990s when Georgia broke away from the USSR, but continued rehearsing three times a week. Katie told the near-capacity audience that it was their dream to tour the West – and now their dream has come true. They shone on the Romanian carol Cradle Song and the Georgian folk song If You Are So Beautiful, while new tracks A Time To Buy and Plane Song showed how 32-year-old Katie's vocals have matured since her debut at the age of 18. A spine-tingling O Holy Night brought the first half to an end all too quickly and after the interval, the stage seemed strangely bare without the choir as Katie was joined by bassist Tim Harries and keyboard player Mark Edwards. The trio recalled Katie's past musical triumphs with a jazzy Crawling Up A Hill and Call Off The Search, alongside the first guitar song she wrote, Belfast (Penguins and Cats), and a great version of Bobbie Gentry's Fancy. 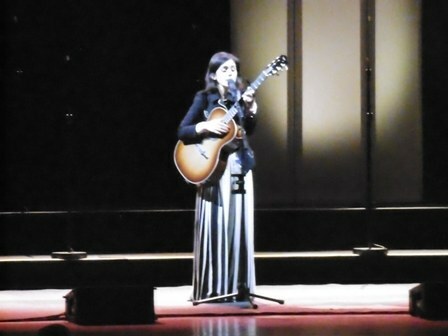 A further two covers were highlights – Black's Wonderful Life and Simon & Garfunkel's Bridge Over Troubled Water. It would have been wonderful to hear the choir on the latter but instead, they returned for a show-stopping Nine Million Bicycles and The Closest Thing To Crazy. There was a treat reserved for the encore – Satrfialo, a Georgian song which, Katie explained, was about ''a guy trying to seduce a girl'' and the melancholy I Cried For You, made more memorable by the soaring choral backing. It may have been frosty outside but this was a truly heart-warming show. 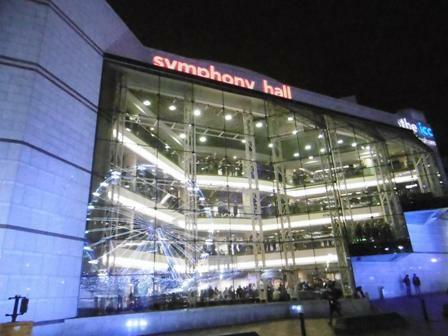 The tour concludes on December 3 at Glasgow's Old Fruitmarket.